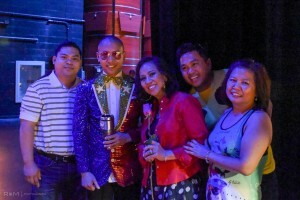 Pinoy Comedy Concert was hilarious Featuring Mikey Bustos and Nanette Inventor! 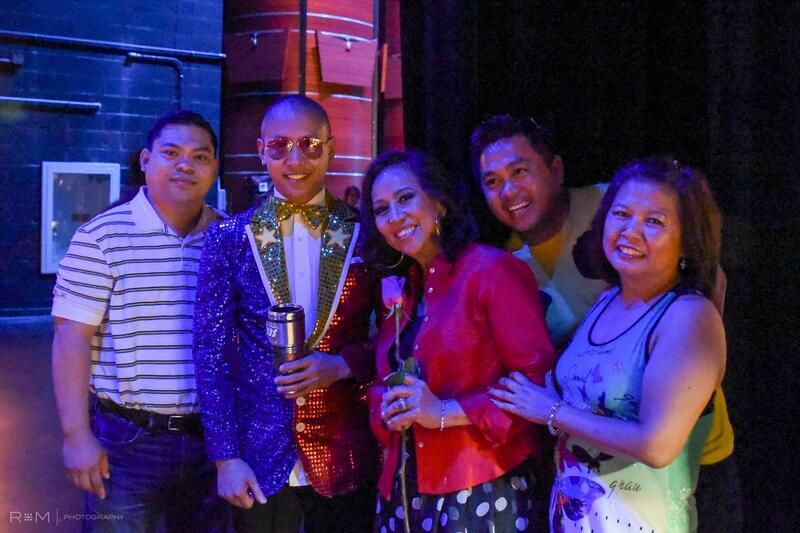 Glendale Heights, IL – Mikey “Pinoyboy” Bustos and Nanette “Dona Buding” Inventor rocked the McAninch Arts Center at College of Du Page last Sunday, August 30, 2015 with a very entertaining program of comedy and music, Pinoy style. The Philippine-American Cultural Foundation (PACF) and Piyesta Pinoy are proud to have sponsored the first ever Pinoy comedy concert featuring a very good combination of two very talented and funny singers/comedians to Illinois – You Tube sensation Mikey attracted the younger generation while veteran actress/comedian/singer Nanette Inventor attracted the baby boomers. “We were blessed to have two good entertaining comedians and a receptive audience. Everyone seemed to enjoy the show. What a great relief! If we had more time, we could have filled the 780 capacity theater. Thank you all for contributing to the success of Pinoy Comedy Concert.” said Adeline Fajardo, PACF president. There was also a mini-palengke at the lobby with Pinoy food favorites from Manila Fiesta, Goldilocks, Titus Frozen Bangus , Val’s Asian Mart and merchandise for sale from Darlene’s Boutique. 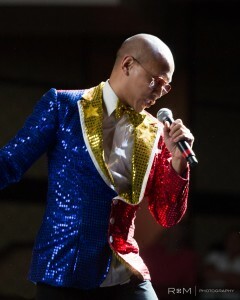 Mikey Bustos, originally from Canada and now residing in the Philippines, is well known for his videos uploaded on video website YouTube and for placing seventh runner-up in the finals of first season of Canadian Idol in August 2003. He performed many of his latest and popular You Tube videos such as Palengke, Sanggol the Pig, Balut, Pinoy Time, Opo Pinoystyle and Adobo accompanied by the backup dancers Ciana Jao, Meghan and Nina Cedro, Gabrielle Calabasas, Hope Caoagas and Jeremy Marcelo from Michigan and 2 local dancers Joy Saballa and Nate Porcalla. Mikey ended his set with the audience participating in the Pinoy dance craze shaving ice and making Halo-Halo. 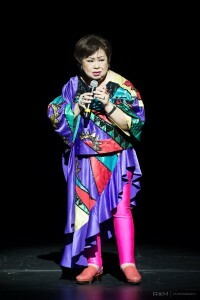 Nanette Inventor is presently esteemed as the Philippines’ FUNNY LADY OF SONGS- on live shows and online social network. …. Catch her on The Filipino Channel’s Young Love television series titled “ON THE WINGS OF LOVE “. Nanette opened the show with the nice song rendition of Salamat Musika followed by stand-up comedy materials on various topics on How do we Identify the Pinoys. She ended her set with a medley of the Original Philippine Music and joined by Mikey in a finale duet singing the classic Pinoy rock Manila. The concert lasted over two hours followed by the Meet And Chat reception and autograph signing by Mikey and Nanette. Thanks a lot to the show’s emcees who did the fantastic job – Maria Girlie Pascual, from Via Times who writes the G-Mail column and James Dela Cruz from CPR-TV who hosts and directs the LOL segment of the program. Many thanks to the Concert Planning and production team – Adeline Fajardo, Ruben Salazar, Michelle Delson, Cindy Lopez, Maria Girlie Pascual, James Dela Cruz, Jan Paul Ferrer, Telly Yumping and RJ Garcia (Mikey’s PA) and Gabi Delson (PACF’s youth ambassador). Thanks to our sponsors – the GMA networks GPTV, GLTV and GNTV as the exclusive media sponsors, silver sponsors – Creative Impressions, Madrid Crost Law Group, Mark A. Tan – Thrivent Financial, bronze sponsors – R+M Photography, National Theraphy Staffing, Ely & Evelyn Natividad and Flo & Lita Villegas and the following local media sponsors CPR TV, Mega Scene, One Philippines Pinoy News Magazine and Via Times.